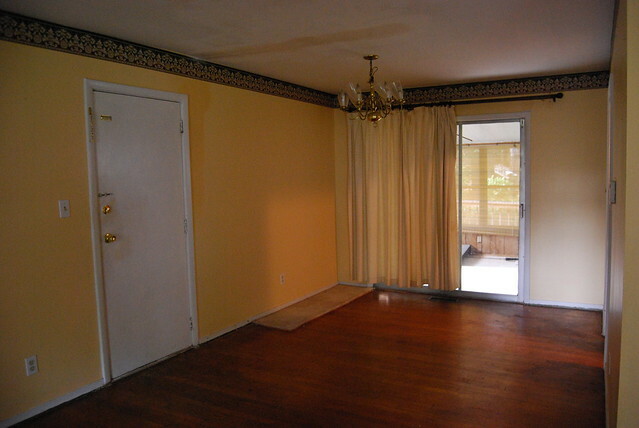 The dining room probably is the room that saw the least amount of change. 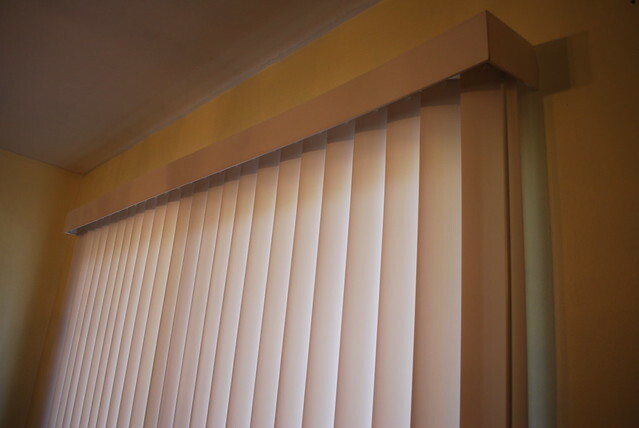 We took down the borderprint and painted, and replaced the curtains with vertical blinds. The room is much brighter since we removed the sun porch off the back. We also replaced the light switch with a dimmer, which is really nice. 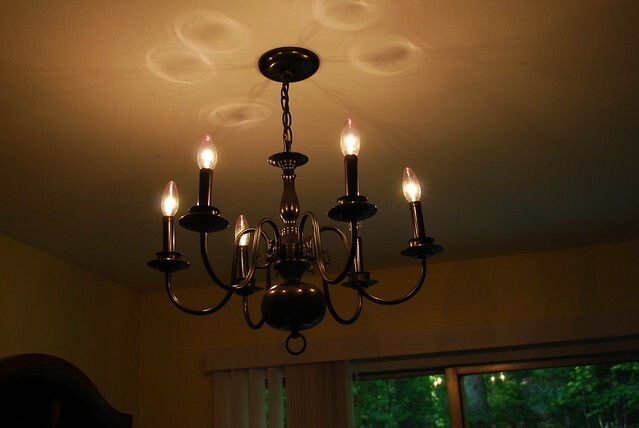 We thought this chandelier was really ugly, so I recently spray painted it dark gray. It looks so much nicer! 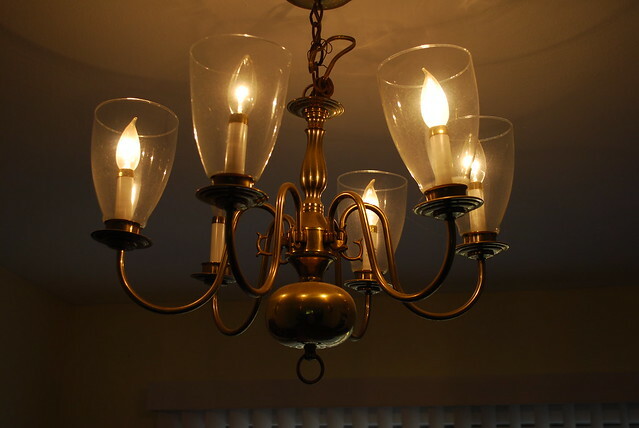 I need to take some current pictures, with the newly colored chandelier and a few furniture pieces we have since added. Removed the curtains and replaced with vertical blind. Removed the borderprint, and then painted all the walls a light yellow. 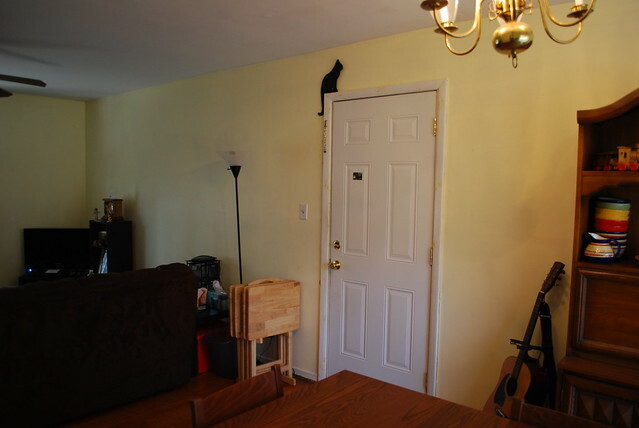 We also painted the ceiling white. Removed the add-on sunporch from the back, which made a tremendous difference in the lighting of the room. Replaced the side door that headed to the carport with a steel door and a deadbolt. 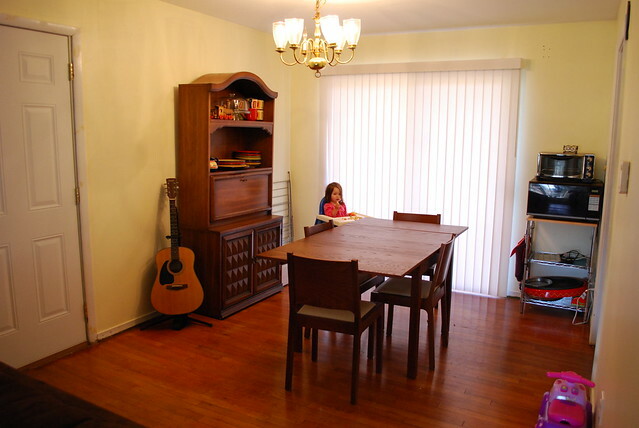 You can read all the dining room posts here.